The Romans have landed and the heroic Britons resist against all the odds! One small village keeps the Roman armies at bay, but it's a difficult task. The Britons learn of the village in Gaul which has a secret weapon to successfully keep Caesar's armies from advancing. 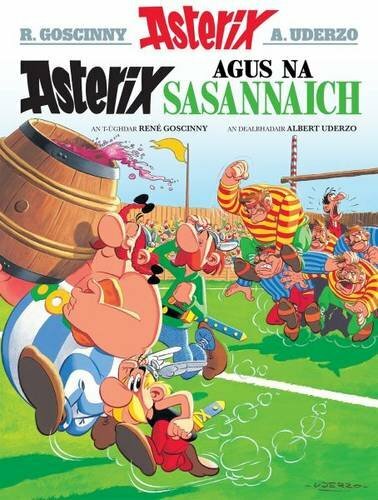 They call on the Gauls for support and Asterix crosses the sea to Britain with Obelix and a barrel of magic potion. 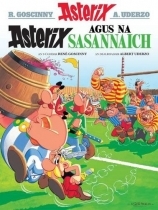 But their mission is fraught with peril and seems doomed when the barrel is confiscated by the Romans, until Asterix remembers he has in his pocket some strange leaves, given to him by the druid Oghamaix - leaves which will surely change the world!